Grow your list by promoting your campaign to like-minded people through our campaign network. Promoted campaigns are an easy way for you to amplify the impact of your campaign whilst growing your supporter base. For the first time campaigners have an integrated list building option right within your main campaign platform. Your campaign promotion is displayed on the thank-you pages of other Do Gooder (issue-matched) campaigns giving you instant access to passionate supporters who care about your cause. We’ve made it so simple it takes minutes to set up and you only pay for the new supporters you gather. This is an exciting way for small campaigns to grow into big campaigns and for organisations to top up their lists with fresh energetic supporters. It’s available on all Do Gooder plans right now and is already helping campaigners to do good better. 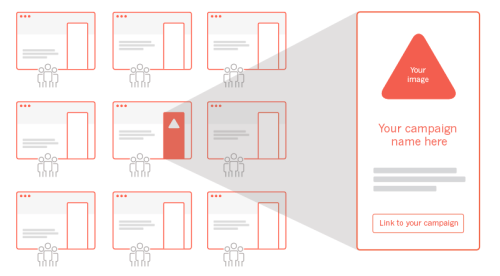 Find out how you can amplify your campaign results through Promoted Campaigns.